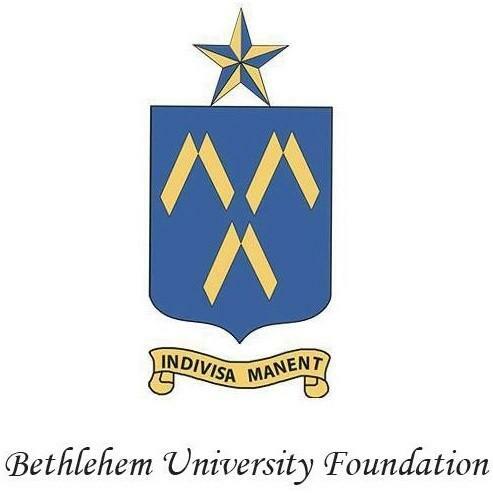 Monsignor Walter Rossi, Rector of the Basilica of the National Shrine of the Immaculate Conception in Washington, D.C., and a member of the Board of Directors of the Bethlehem University Foundation, recently visited Bethlehem University with a group of pilgrims. Monsignor celebrated Mass for the visitors and members of the University community in the Chapel of the Divine Child. 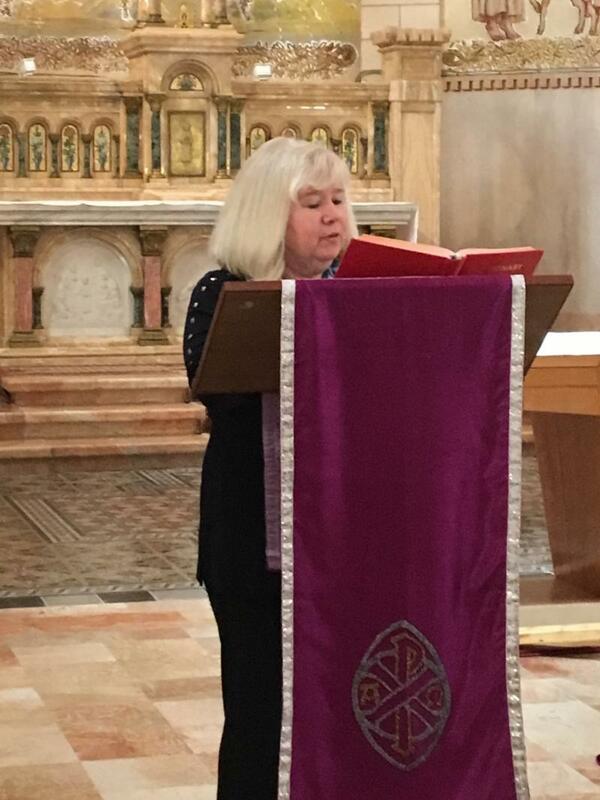 Breda Shelton, Patron of the Bethlehem University Foundation, is shown proclaiming the First Reading during Mass. 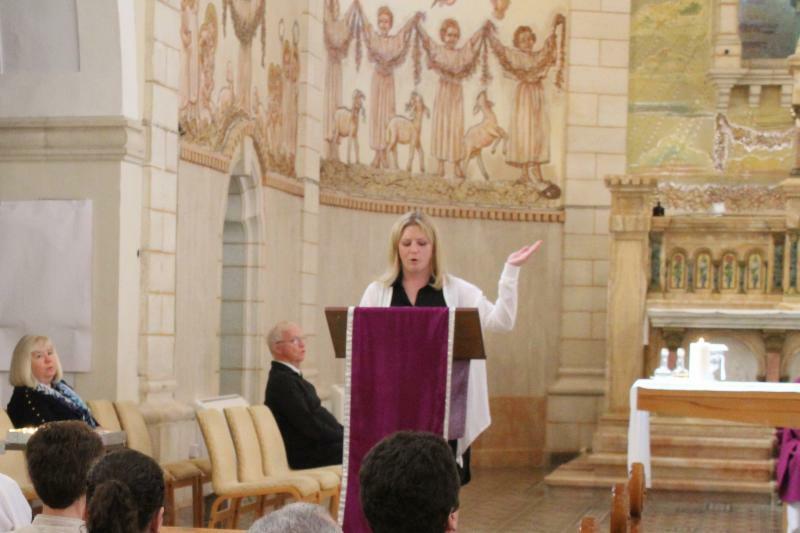 Katie Acuff, a fellow pilgrim and a member of the Board of Directors of the Foundation, is shown proclaiming the Responsorial Psalm. Click on the button at the bottom of this newsletter to take a virtual tour of the Chapel of the Divine Child at Bethlehem University. 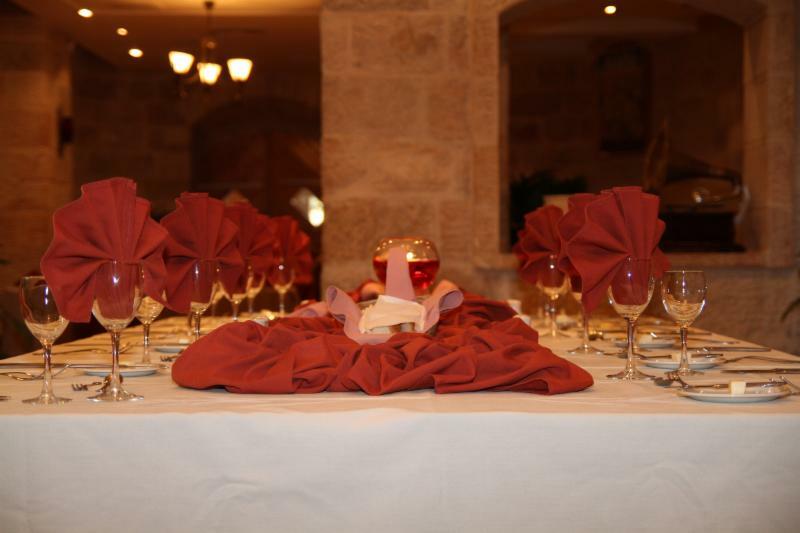 After Mass, the group was hosted for lunch by the University’s Institute of Hotel Management and Tourism. The lunch was prepared and served by the students of the Institute. 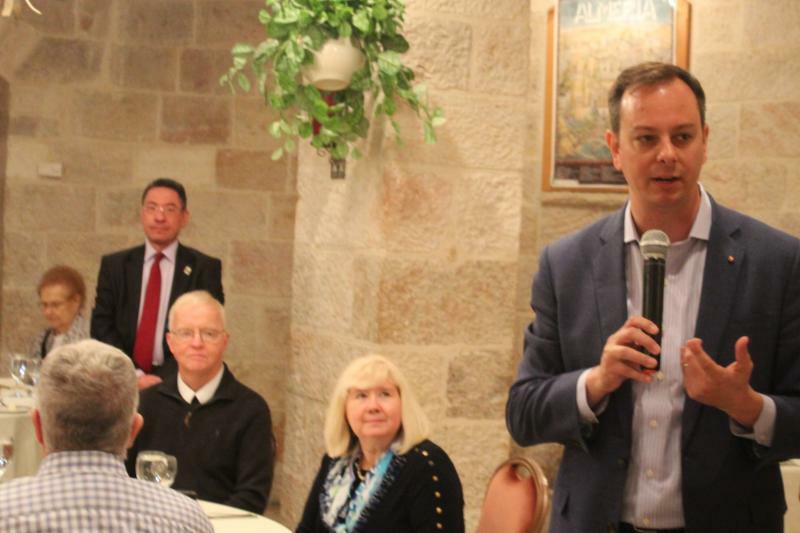 John Schlageter, Executive Director of the Bethlehem University Foundation, addressed the group following their meal. 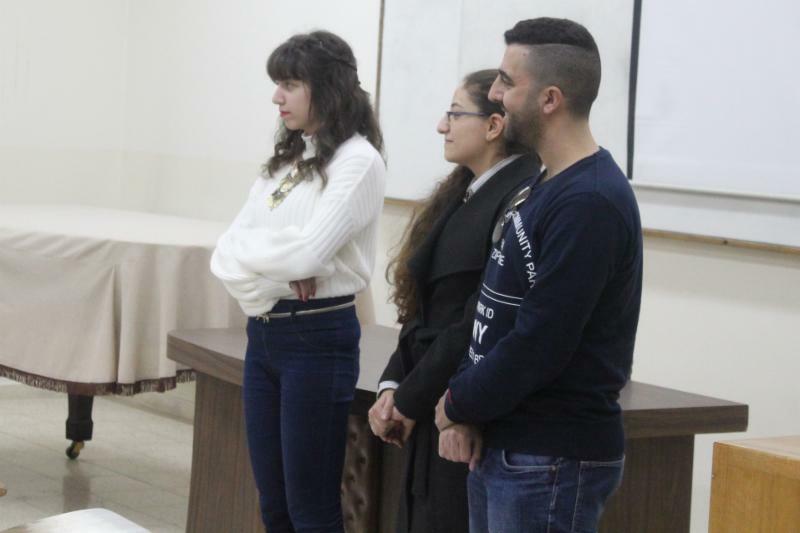 Visiting groups are greeted by Bethlehem University students in the "Student Ambassador" program. The Ambassadors lead pilgrims on a tour which features the Chapel of the Divine Child, the Cultural Heritage Center, and academic facilities, and a discussion with the students about life in Bethlehem. 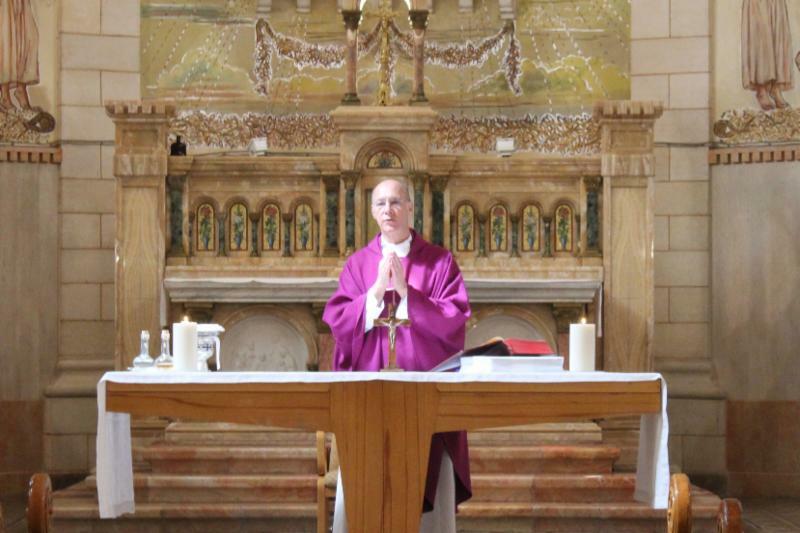 A stop at the University allows pilgrims the opportunity to have a direct encounter with the Christian community in the Holy Land and to experience the work of Bethlehem University. 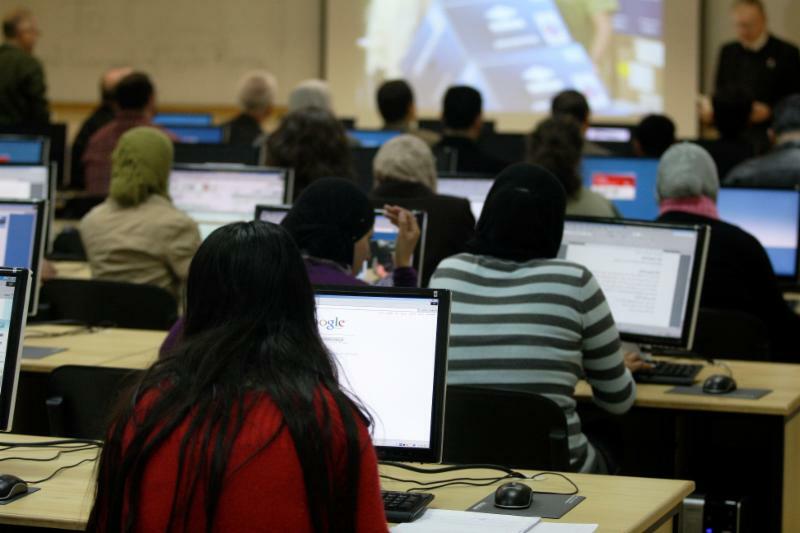 If you are travelling to the Holy Land, click the button below to organize a trip to the University. Monsignor Rossi and John Schlageter are planning a pilgrimage to the Holy Land in early 2019. More details to follow. 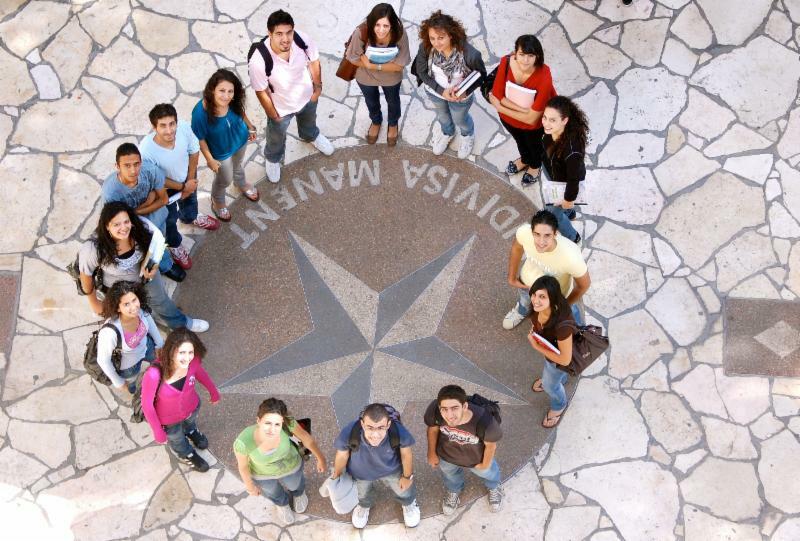 Organize your own visit to the University!